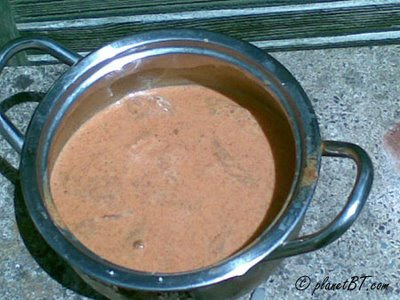 Cool summer weather with light sunshine does tempt a person to do some outdoor cooking. 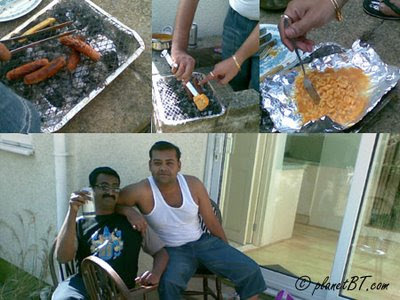 What better than a barbecue in your garden ? Spice the food the way you want and cook it on charcoal barbecue grills. 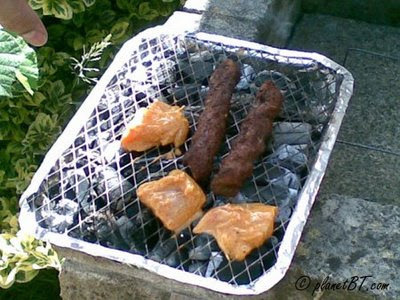 I found a disposable barbecue kit here in UK. It serves the purpose, but a full fledged one is much better. Charcoal burns at different speeds and heat. You could know its ready when it is ashy grey outside and glowing red inside.Barbecuing is an art in itself, because unlike the microwave you have no button controls.Its just getting the perfection by judgement, the visual of the level the food is cooked and adjusting the pieces as per heat in different areas of the grill accordingly. 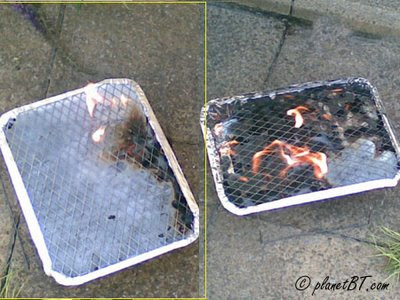 Disposable Barbecue kit getting hot n ready ! As the Barbecure grill gets ready, so is the salad ! 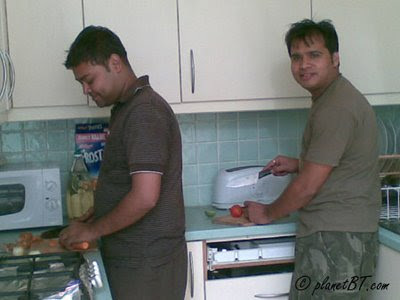 Mayank and Raj-e@ it ! The kebabs may be done, but the chicken is just starting to get ready . Aha ... green grass, green wall, and green T shirt ! My advice getting some smiles on the barbecue ! Cheers ! Some sausages being grilled, and prawns. Barbecuing is a pretty challenging because , if you get it wrong, all food may be burnt or tase real bad. 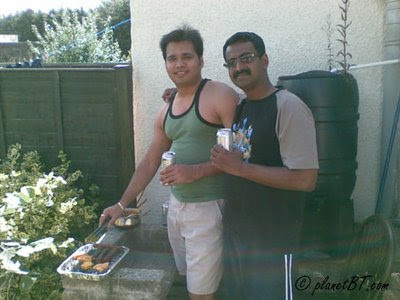 So enjoy the outdoors n Bar-b-Q !